Thank you for visiting. 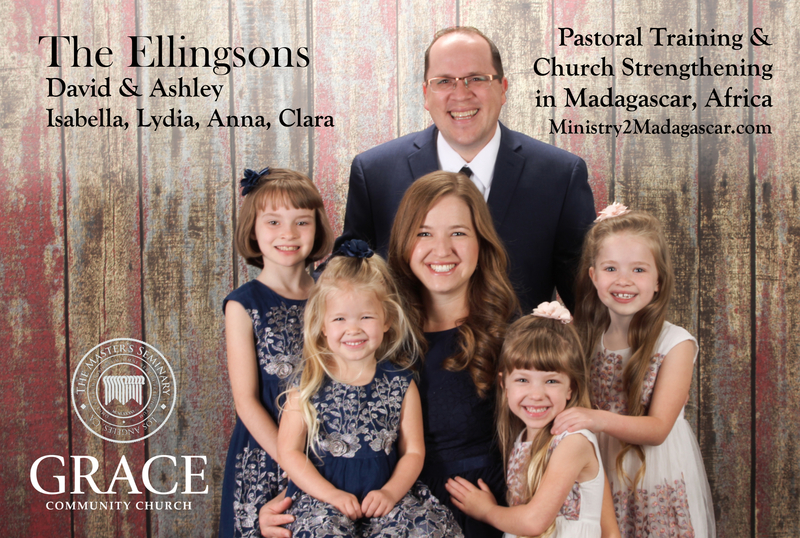 Our names are David and Ashley Ellingson. God has richly blessed us with four daughters: Isabella (6/2010), Lydia (6/2011), Anna (4/2013), and Clara (1/2015). 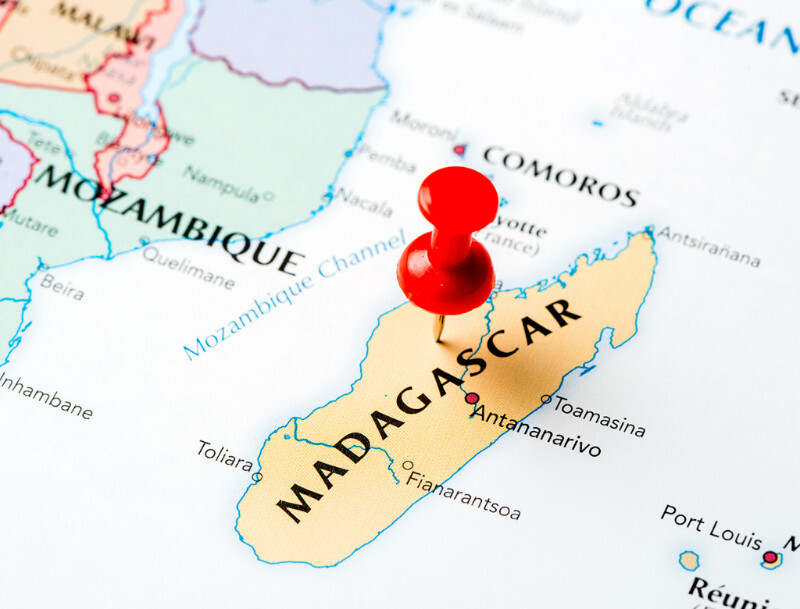 We are currently seeking churches and individuals that will partner with us as we prepare to become missionaries to the island nation of Madagascar, Africa. 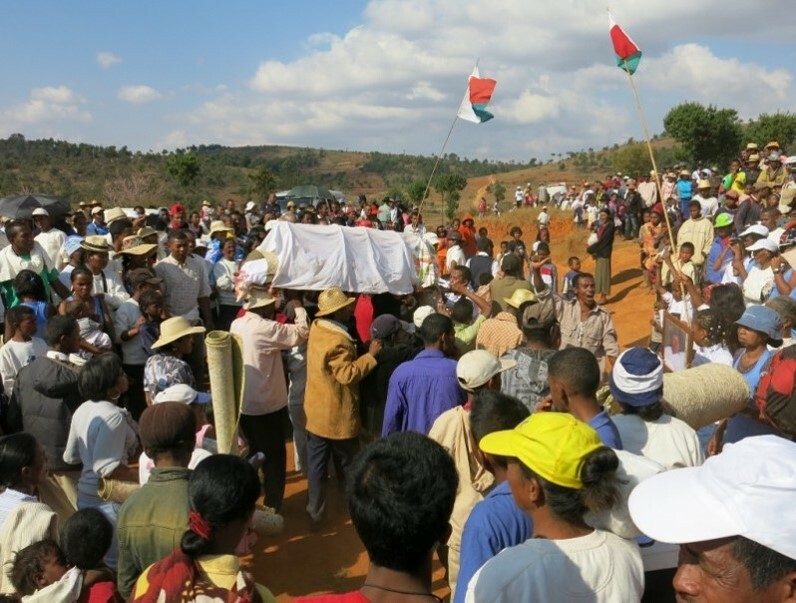 Over 50% of Malagasy have traditional animistic beliefs only. 38% claim the “Christian” label (e.g. Roman Catholics), but believe a false gospel or blend Christian teaching with ancestor worship. 10% of Malagasy are Muslim. Only 2% are evangelical Christians. 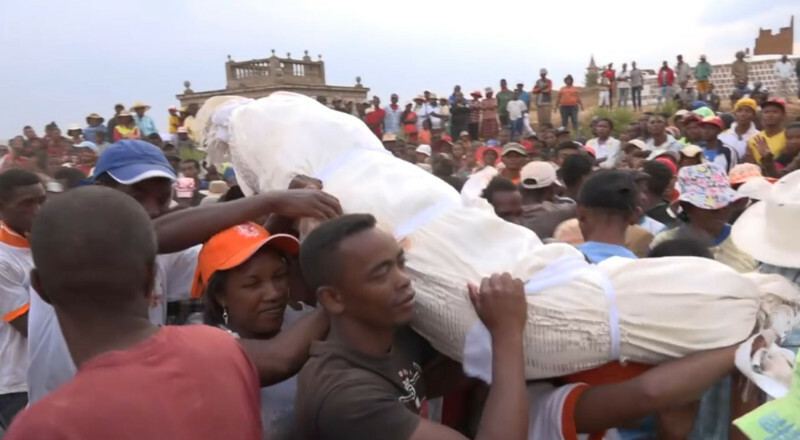 Most Malagasy people profess to believe in a god, but practice ancestor worship and dance with the dead to receive blessings. Yes! There is a great need for sound theology and biblical churches here. The difference is that we have access to biblical churches, radio, seminaries, books, internet, and other resources. In comparison to most countries in the world, we have a wealth of biblical resources. 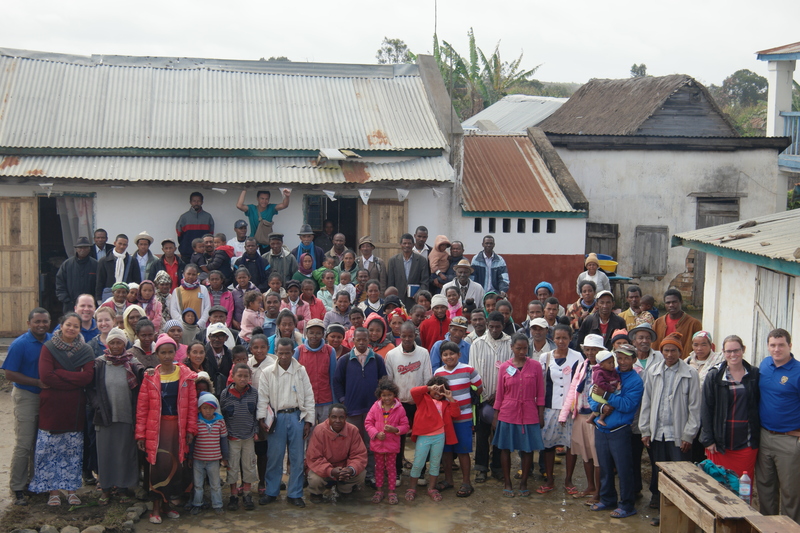 In Madagascar, there is very little access to biblical training, resources, or even Bible-preaching churches. Together, we can meet this great need by equipping Malagasy pastors to be biblical shepherds, theologians, and preachers who can feed their churches and the nation. In preparation for this ministry, God has provided training to both of us. David has been trained at The Master’s Seminary (M.Div., May 2018) to faithfully exposit the Word of God, shepherd the flock, and train others. Ashley is working towards a biblical counseling certification through the Association of Certified Biblical Counselors (ACBC). She has taken all three Biblical Counseling courses and is working to complete the coursework and 50 counseling sessions. In August 2017, our church sent us on a three-week trip to see what life and ministry would look like as missionaries in Madagascar. The trip confirmed both their need and desire for biblical training. 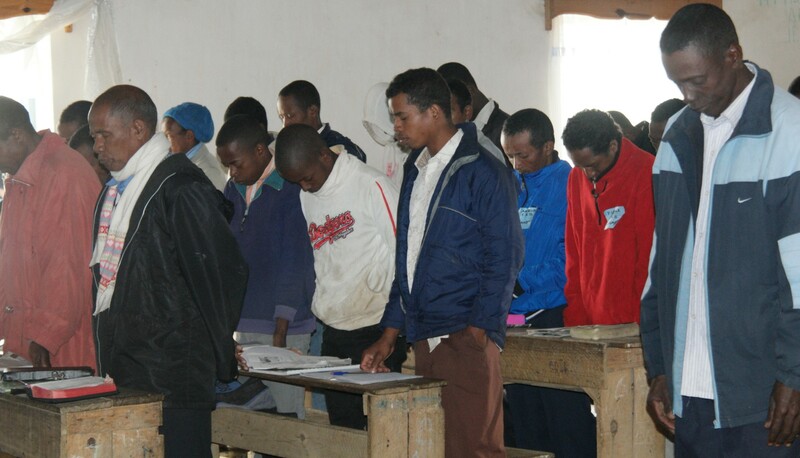 We observed an immense hunger among the Malagasy to know the Word of God. 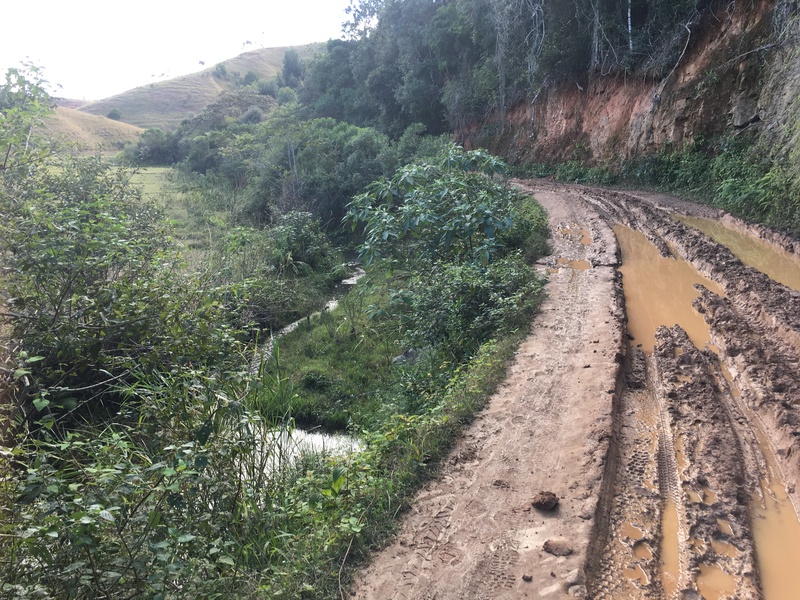 Believers were willing to travel two days over terrible roads just to be trained. Some even walked 25 miles! 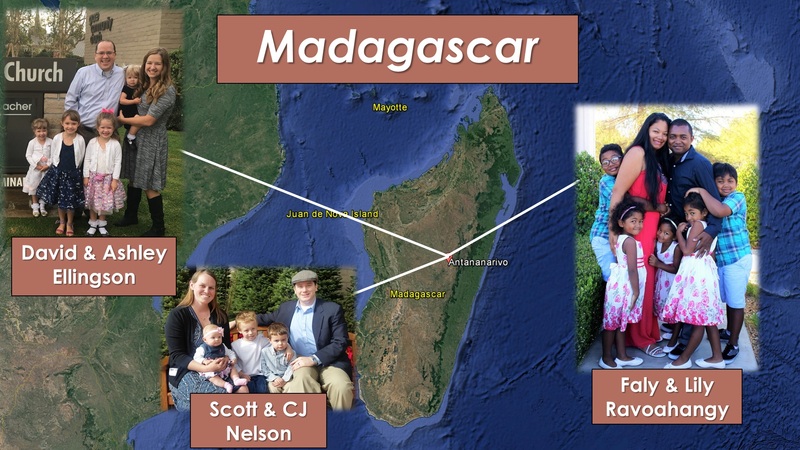 If the Lord wills, we plan to join our team in Madagascar as soon as possible. We will need to have solid churches and individuals partner with us in prayer and financial support to make that happen, but we are confident that the Lord will abundantly supply. 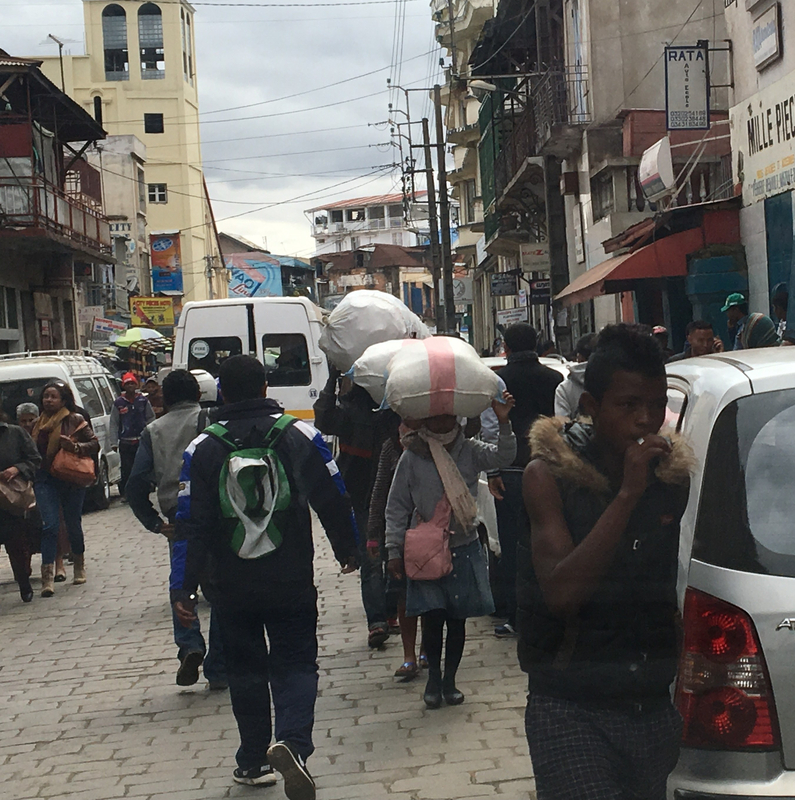 During our trip to Madagascar in August 2017, we learned that daily life in Madagascar would be difficult for us — especially if we moved to the country without any way to communicate. 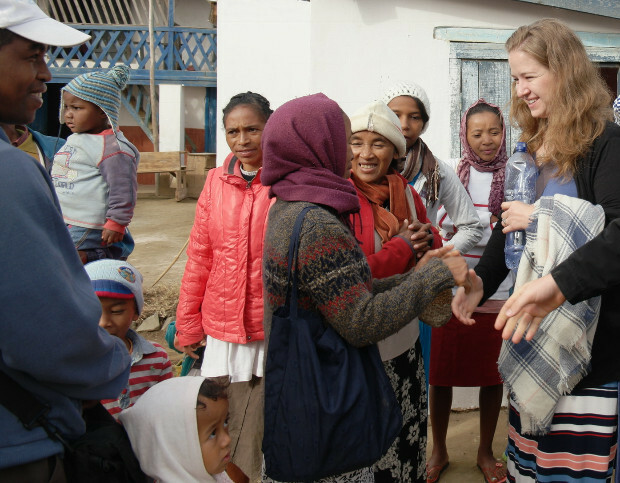 As you know, we will need to learn two languages — both French and Malagasy. Therefore, to make the transition more successful, we are planning to learn French before we go to Madagascar. 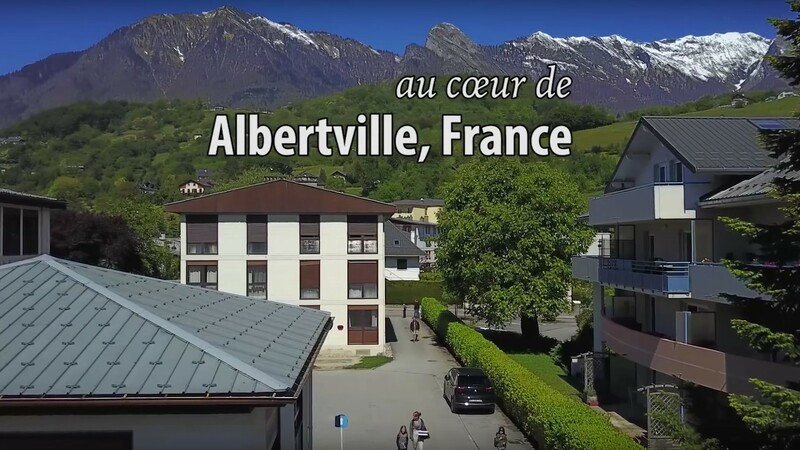 On our way to Madagascar, we plan to attend a highly-rated French language school in Albertville, France to immerse us in French during the one-year program. 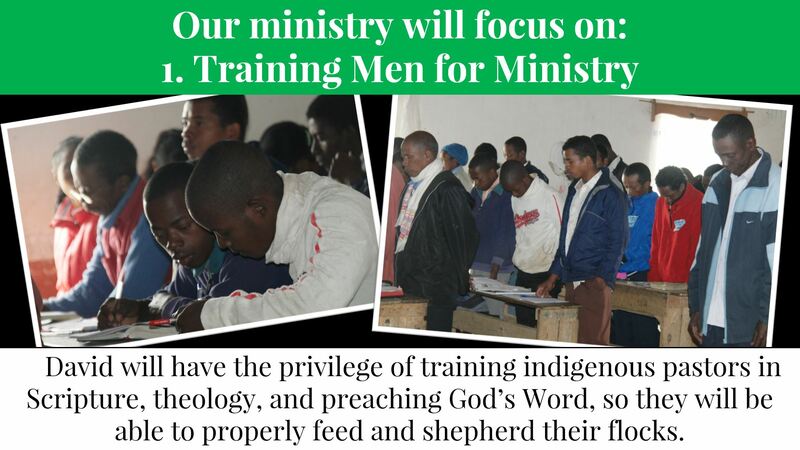 This is a Christian-run program which has trained many missionaries. One key benefit to this program is that we will also learn some biblical and theological terminology in French — which will be very useful for future ministry. David will have the privilege of training indigenous pastors in Scripture, theology, and preaching God’s Word, so they will be able to properly feed and shepherd their flocks. 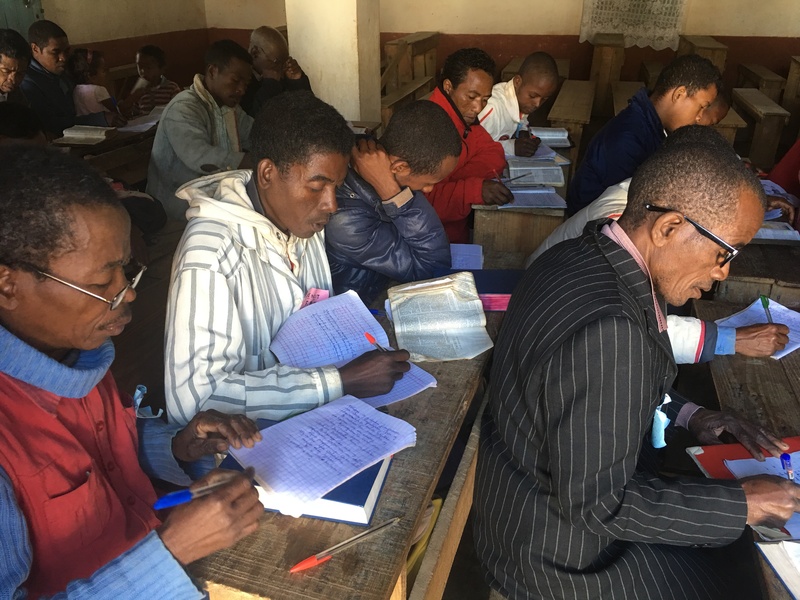 Our team will accomplish this training through regional workshops, conferences, and, Lord willing, establishing the first biblical seminary in Madagascar focusing on expository preaching. David will serve in a local church in Antananarivo (the capital) where he will train, disciple, and identify godly men for future leadership. 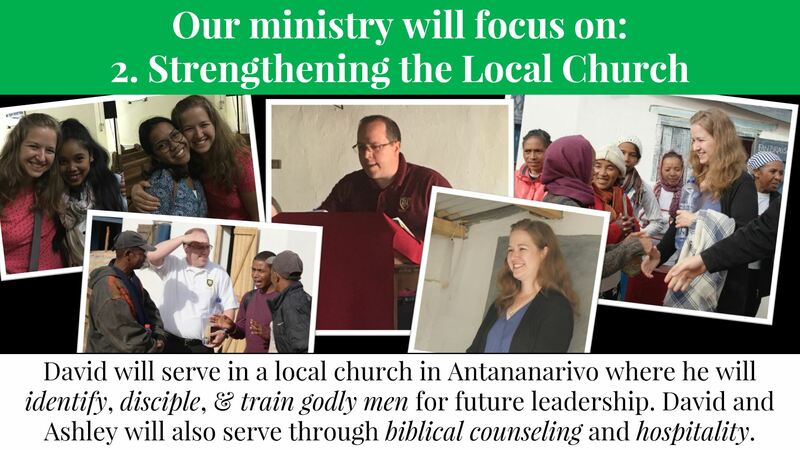 David and Ashley will also serve this local body of believers through biblical counseling and hospitality. While in seminary, we developed a close friendship with a family from Madagascar—the Ravoahangys. 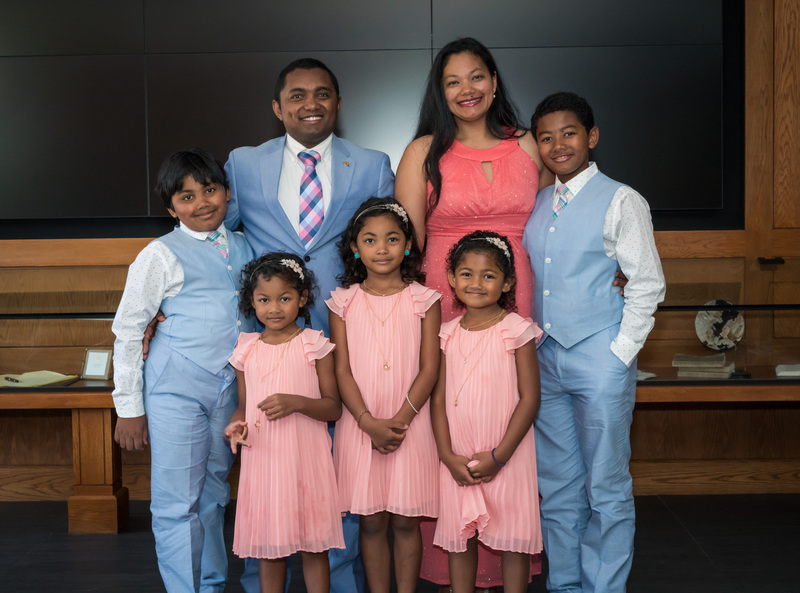 This like-minded family returned to Madagascar in August 2017 to begin the full-time ministry of training local church leaders in Madagascar. What an asset it will be to team up with Malagasy nationals! What a joy it will be to work alongside such good friends! 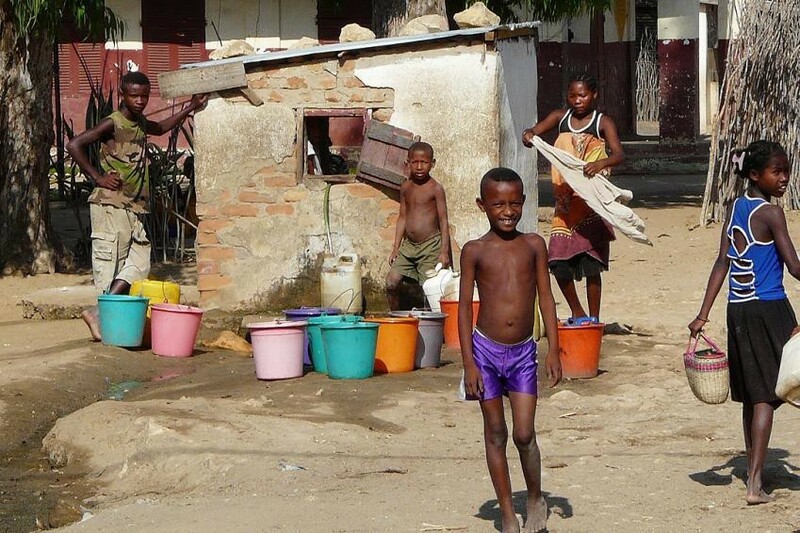 This website will provide you with many more details of Madagascar, prayer requests, and a link to financially partner with us. You can also view previous newsletters here. Thank you for your participation in this Gospel ministry. May Christ be exalted! We left for Madagascar on Wednesday August 2nd. The 11,354 mile journey took over 27 hours. 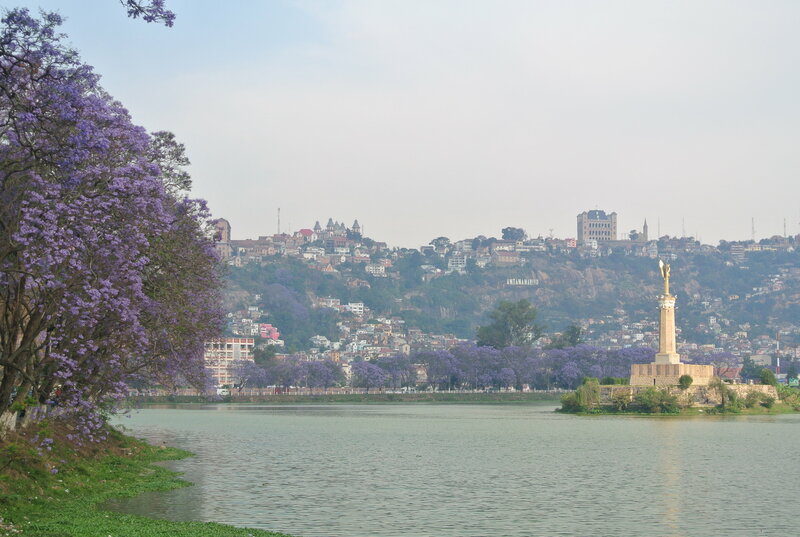 We arrived in the capital city, Antananarivo, on the evening of Thursday Aug 3rd. 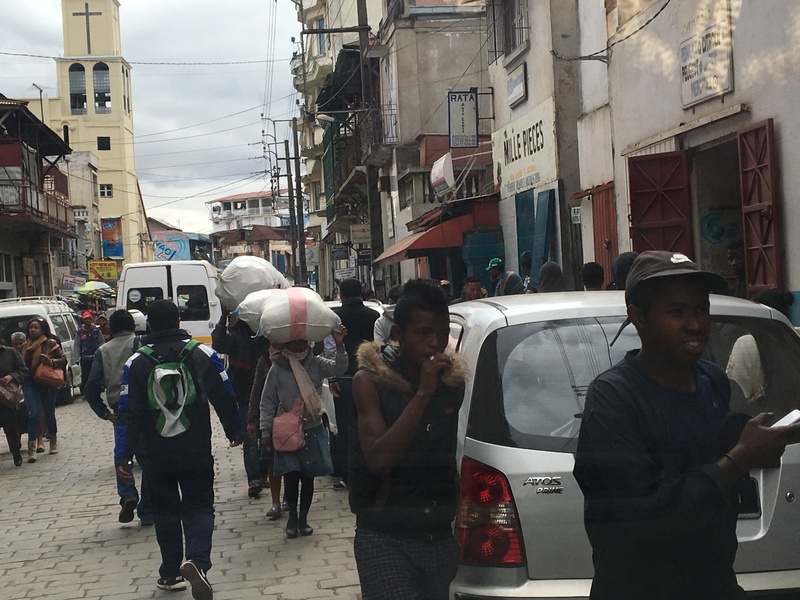 The first two days (Friday/Saturday, Aug 4th/5th) we spent time in Antananarivo to learn about the city where we would likely live and where we hope to one day open a training center. 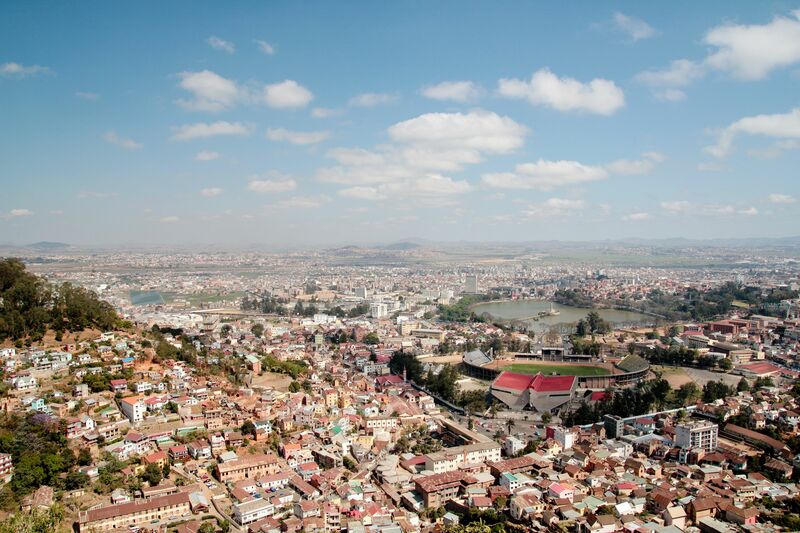 See our pictures of what life and ministry are like in Antananarivo here. On Sunday Aug 6th, we got up at 4:30am to travel to the rural country-side church of Sakalava where we would lead the church service. We left Antananarivo that morning and during on van ride, the pastor of the church in Sakalava called us and said that due to the rain the past few weeks, the 9 miles of dirt road leading to his church would not be passable with our vehicle and that if we wanted to still come, we would need to hike the 9 miles of muddy roads. Our team decided to make the trek and so we packed only what we could carry on our backs and set off for the countryside village of Sakalava. It turned out to only be a 7 mile hike. As soon as we arrived, our team began the church service. We slept in the loft area above the church and then the next day (Aug 7th), we hosted a Youth Outreach Event. See more pictures of our ministry in Sakalava here. 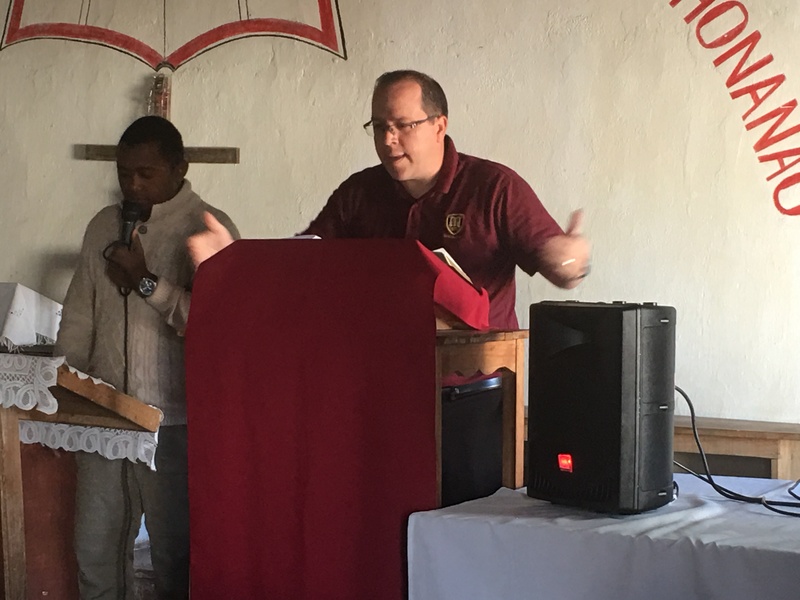 On Tuesday through Thursday (Aug 8th–10th) we provided a three-day pastoral training conference to the pastors, elders, and church leaders of the Bezanozano region. Our goal was to model expositional preaching and to encourage them through the book of Titus. We had over 90 attendees. Through our 15 sessions in Titus, we explained the character and qualifications of godly leadership, the structure and characteristics of a biblical church, and explained the Gospel message in detail. We also had four Q&A sessions where these church leaders would ask many practical questions on applying biblical doctrine in their own churches. Our wives also wanted to encourage the women in this region and the pastor’s wives who attended, so they taught on: The Women’s Role in the Church, Biblical Marriages, Biblical Parenting, and on Older Women Teaching the Younger Women (Titus 2:3-5). See more pictures of our ministry at the Ampitambe Pastors’ Conference here. Or, see a 1-minute video of the Pastors’ Conference here. 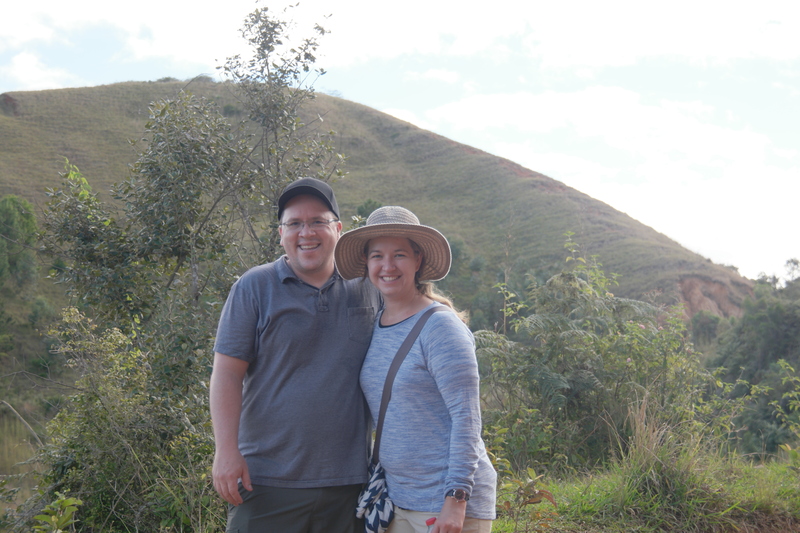 On Friday Aug 11th, we visited a wildlife park in Andasibe to see some of the unique animals and plants of Madagascar — especially the lemurs. See a video of our visit to Lemur Island here. The next day (Saturday Aug 12th), David preached to believers in the church in the village of Antanimenakely. This church is located right next to the beach on the east coast of Madagascar. 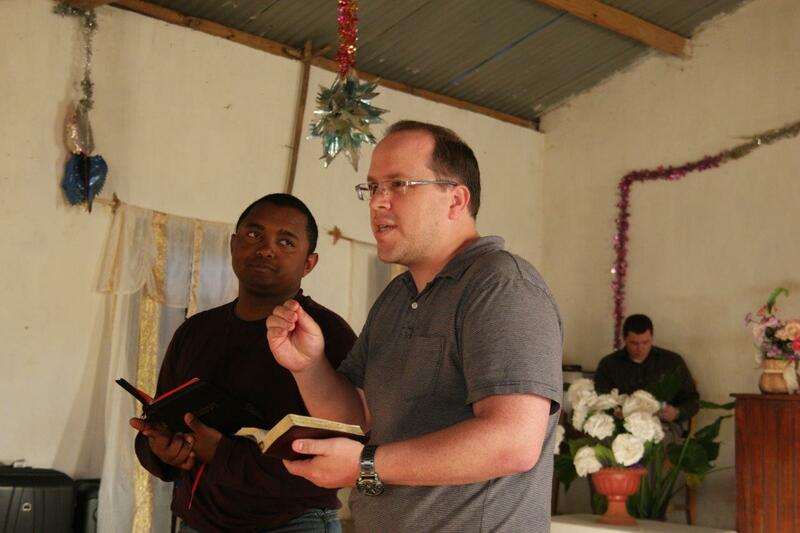 On Sunday Aug 13th, we preached in a local church in the port city of Toamasina. Then, on Monday Aug 14th, after almost two weeks of exhausting travel and intensive ministry, we had a few days of downtime in Sainte-Marie before taking the long drive back to Antananarivo on Friday Aug 18th. 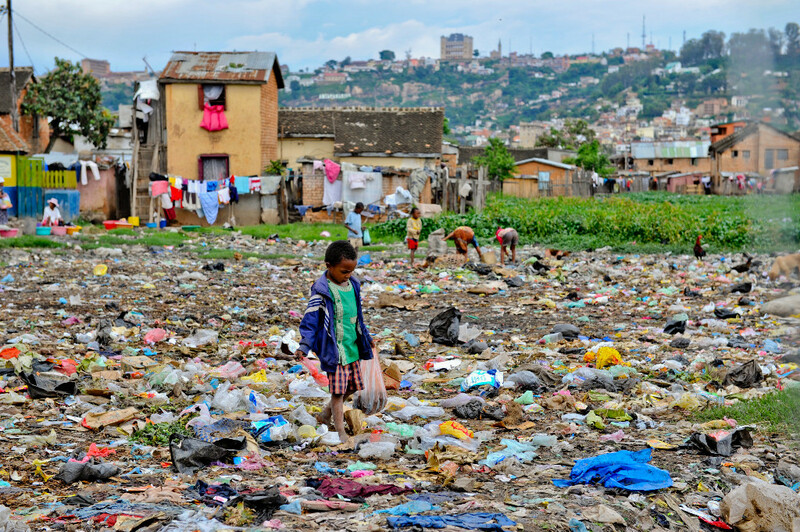 Saturday Aug 19th we went saw what life in the capital city of Antananarivo would be like. 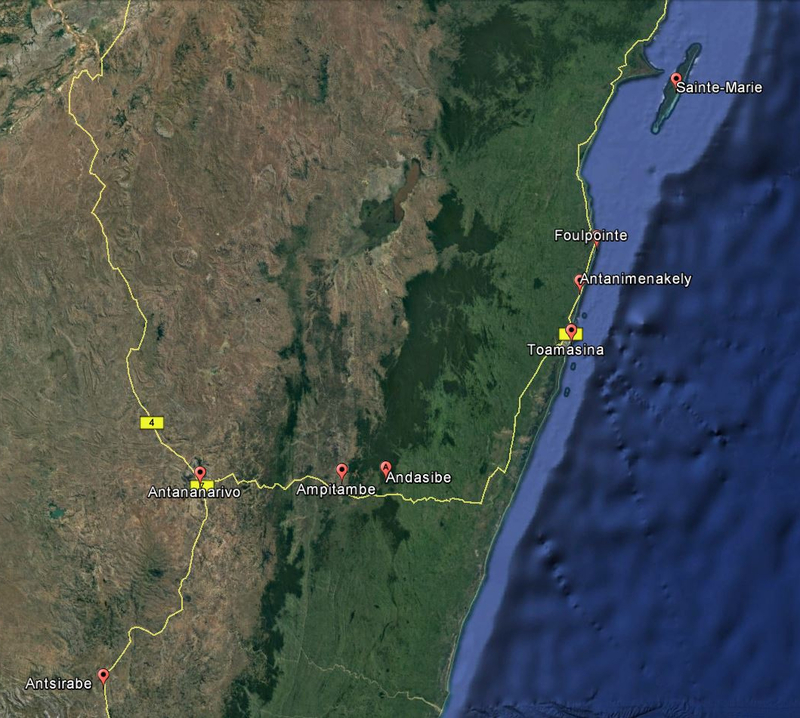 This is the largest city in Madagascar and potentially where we would live and conduct much ministry. On Sunday 20th, we visited the main local church of the Biblical Baptist denomination, Ankadivato Biblical Baptist Church. This church is the denomination’s key flagship church and also Faly and Lily’s home church. 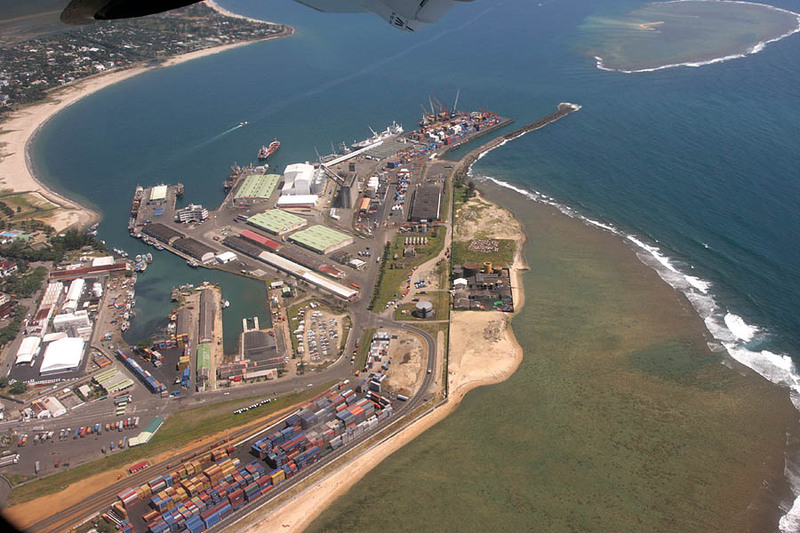 On Monday Aug 21st, we left Madagascar to return to the USA. You can participate in this ministry by partnering with us in prayer, because this is a spiritual endeavor, and by helping to finance this ministry trip (click here to partner financially with us). 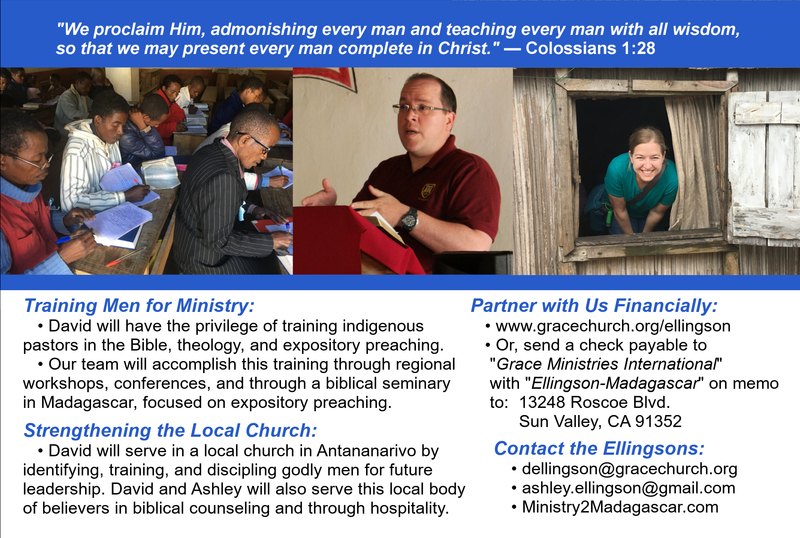 To learn more about our plans for ministry in Madagascar, please utilize the contact form or contact us through our personal email addresses. You can participate in this ministry by partnering with us in prayer, because this is a spiritual endeavor, and by partnering with us financially (through a tax-deductible gift).